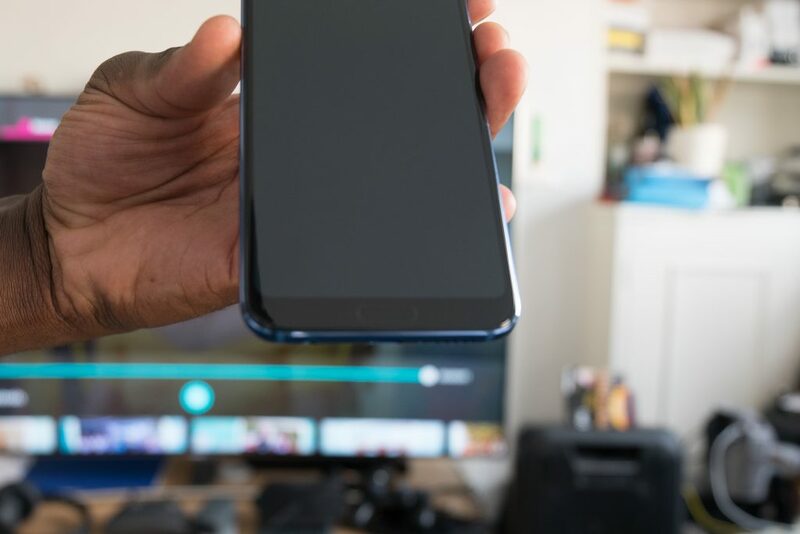 You are at:Home»Gadgets»Honor 10 Review: STOP buying expensive phones – this has everything! In a world where Apple’s latest smartphone, the iPhone X starts from £999 and Samsung’s Galaxy S9+ from £799, smartphone manufacturers like Honor and OnePlus are still managing to push out devices heavily loaded with high-end or flagship specs for a fraction of the price of what Apple and Samsung are doing. 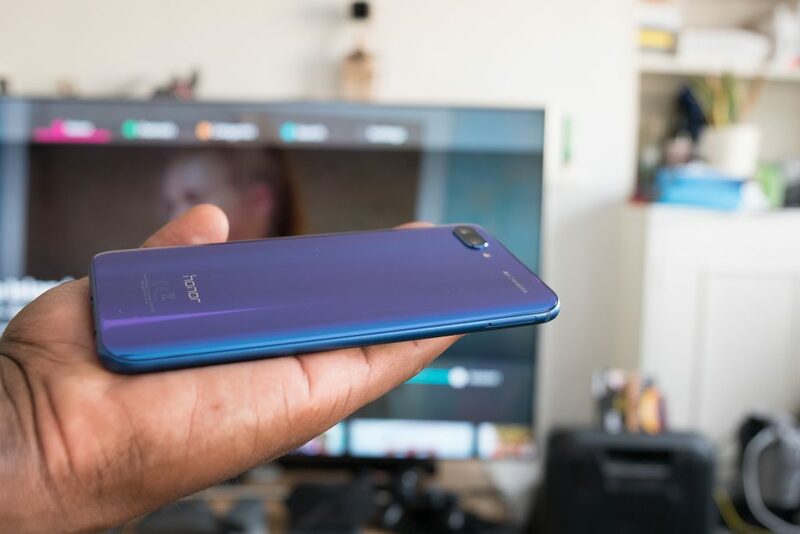 So, after using the new Honor 10 for more than a month, I can’t help but ask the question, why do we spend anything more than £500 on a smartphone in this day and age? Yes Apple and Samsung use premium materials and go through rigorous manufacturing processes to ensure their devices are as premium as possible to warrant the price tags, but you only have to spend some time with the Honor 10 to realise actually, they go through their own process to make sure you have a device that’s just as good. Does it look and feel premium? does it perform well even when running processor intensive apps? does the camera capture images that I’m proud to share across my platforms? does it have a fantastic battery life? Does it have USB C and a 3.5mm headphone port? The answer is yes yes and yes! Without making this a comparison article, let’s take a look at all the reasons the Honor 10 is more than enough! 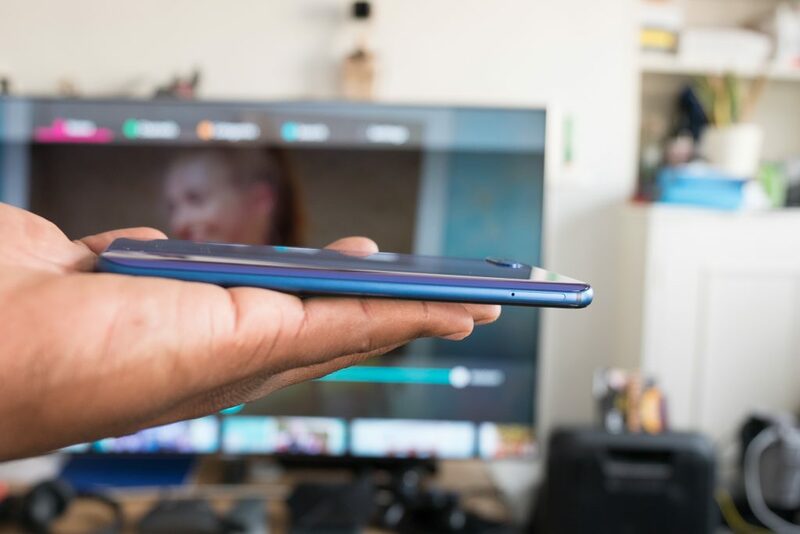 When you get it out of the box, there’s no doubt you’d be wowed by its reflective phantom blue back which changes colour from blue to purple or twilight like the P20 Pro we reviewed previously. The glass back is also curved towards the area that meets its metal frame and its corners are also curved, making it very comfortable to hold especially for all-day use. 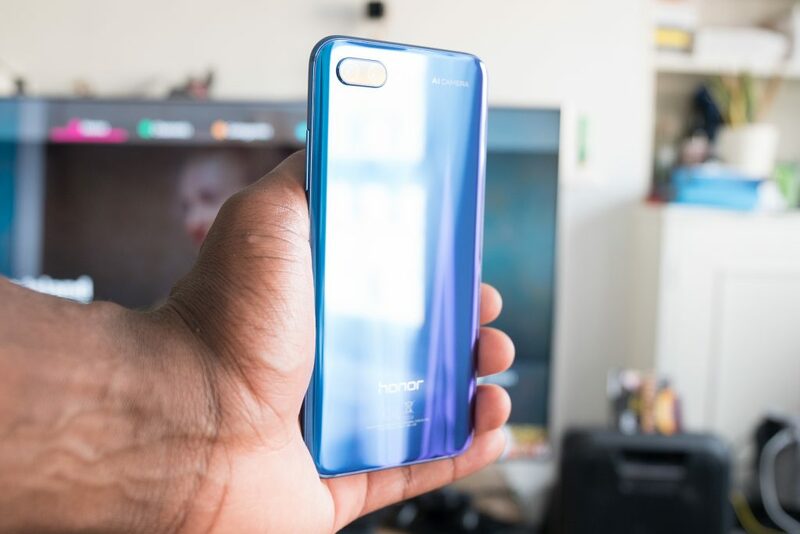 When I looked at the Honor View 10, I mentioned that it felt premium but didn’t look it, but with the Honor 10, using 15 layers of glass really helps how it looks. Honor’s design efforts didn’t end there, all buttons are placed on the right side of the phone, whether you like that or not comes down to personal preference, but I prefer to have it all on one side unless you decide to include a shutter button like Sony, then it’s acceptable to have it separately. On the front, you get a 5.84-inch 2280×1080 resolution IPS LCD screen with a 19:9 aspect ratio, 432ppi, and a notch. 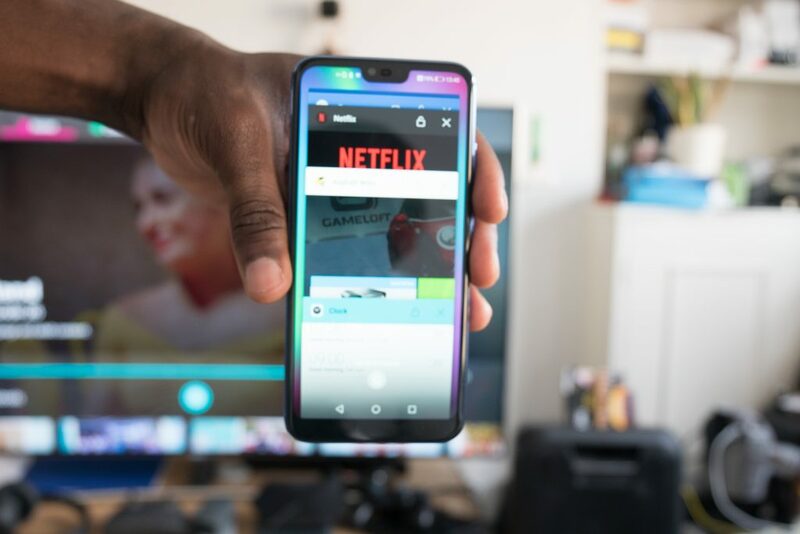 The notch can be blacked out if it’s not your thing. Where the notch cut out is, there’s a front-facing camera, a light sensor, and a speaker grill. 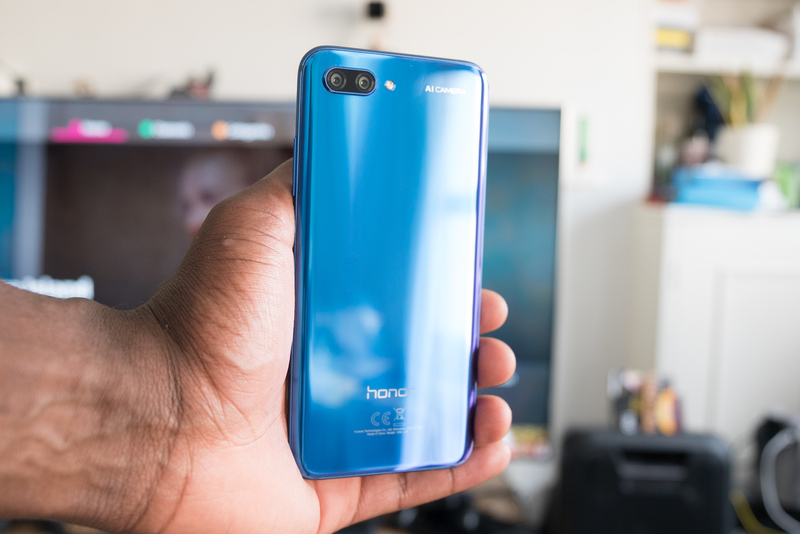 One thing I did like on the front area is the fingerprint scanner; it sits flush with the glass, in fact, if Honor didn’t add the dotted line around it, you probably won’t notice that it’s there. Overall, it’s an A+ design, it’s beautiful to look at, some may say it’s very Instagrammable – if that’s a word. Honor and Huawei continue to add IR blaster to their devices which are interesting as not many people use it these days but I’m sure they have their reasons to carry on with it. You get a 3.5mm headphone port which a lot of manufacturers are now doing without and a minimalist design gives it a classy look. The under display fingerprint sensor is a welcomed design but compromises its performance when compared to the P20 Pro or OnePlus 6, however, the inclusion of a face-unlock feature means that’s never really an issue as it works really well. Will it last two years design-wise? no, the only way it will is if you use the case that comes in the box to keep it secure and fresh; the glass back is great but also a fingerprint magnet and it has no IP rating. 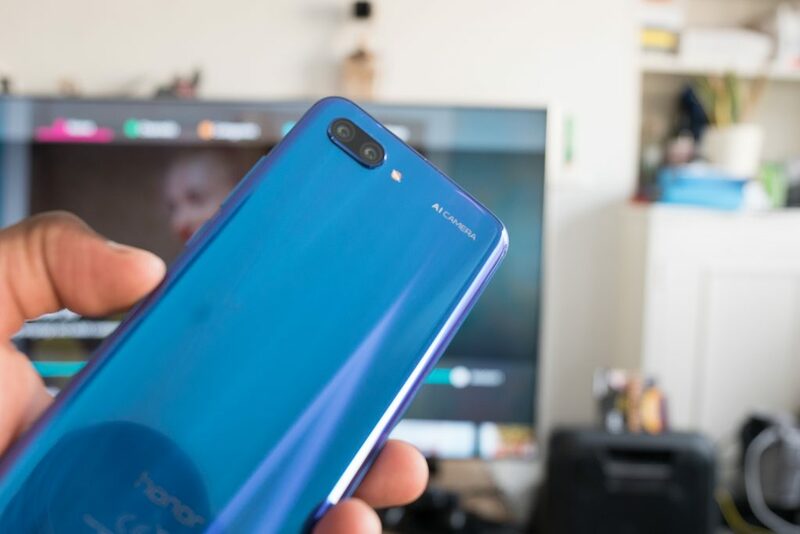 Honor and Huawei have always used their own processor chip and the Honor 10 is no different; it’s using the latest and top of the range Kirin 970 processor and to put that into perspective, it’s the same chipset found in the P20 Pro. For graphics, you get a Mali-G72 GPU, again, top of the range and that is coupled with 4GB of RAM in the UK and 128GB of storage with no microSD card support. If you’ve read my OnePlus 6 review, you will know that I’m a sucker for microSD support and that’s not because 128GB plus Google Photos support is not enough, but that’s because I tend to use it as a memory card reader when using my DJI or Parrot drone. Rather than show you benchmark scores, the real world application for me is top open as many applications as possible and then launch a processor and graphics intensive game – Fortnite, to see how well it holds up. safe to say even with 4GB of RAM, it runs with no hiccups and hardly any crashes. In the past, I haven’t been a fan of EMUI interface, but with advancements in Android OS itself (the Honor 10 comes with Android 8.1 Oreo), EMUI 8.1 is much more efficient, works well and I wouldn’t complain at all besides some preloaded apps that need to stop. Overall the Honor 10 is more than capable of playing games, running multiple apps, watching videos even with the waste of screen that is a notch, and much more with its processor, memory configuration, graphics chip and OS even if you opt to get one on a 24 months agreement. What’s essential is that you buy a phone that will last you over the next two years before considering another one. 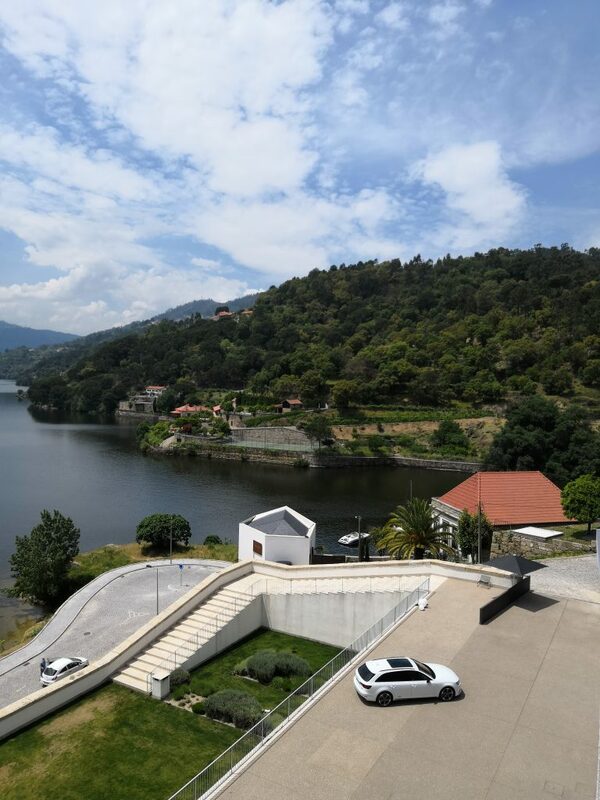 On the back of the Honor 10, you’ll spot a dual sensor setup, one 24MP monochrome sensor and the other, a 16MP colour sensor, 24MP front-facing camera and although having a dual sensor setup is not new, what Honor has done here is add AI into the software mix to ensure you’re taking the best pictures you can without having to do much. In the camera app, there are so many options available; you have aperture mode which can go from 0.95 to 16, allowing you to capture images with a nice bokeh effect. There’s portrait mode with different lighting options and hit the settings option, and you can change things like resolution, assistive grid and more. Where things get a little more adventurous is going into the more menu to reveal all the creative options available such as AR lens, slow-mo, pro mode for taking control of ISO, shutter speed, EV, AF-C and white balance. You can also download more if you feel like taking pictures of food or scanning documents. 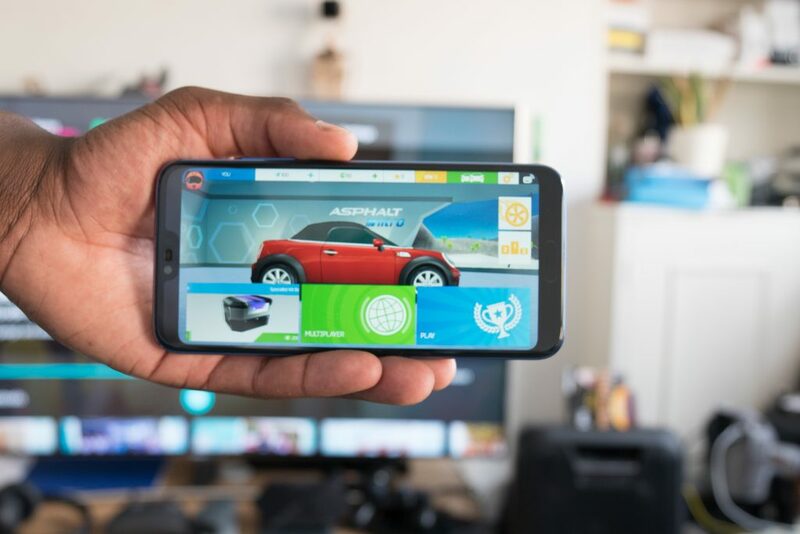 Menu options aside, the main thing Honor is shouting about is the new AI capabilities and although it’s just a marketing gimmick, it reads the scene and the subject in order to decide how to effectively boost the image to appear the best it can be. 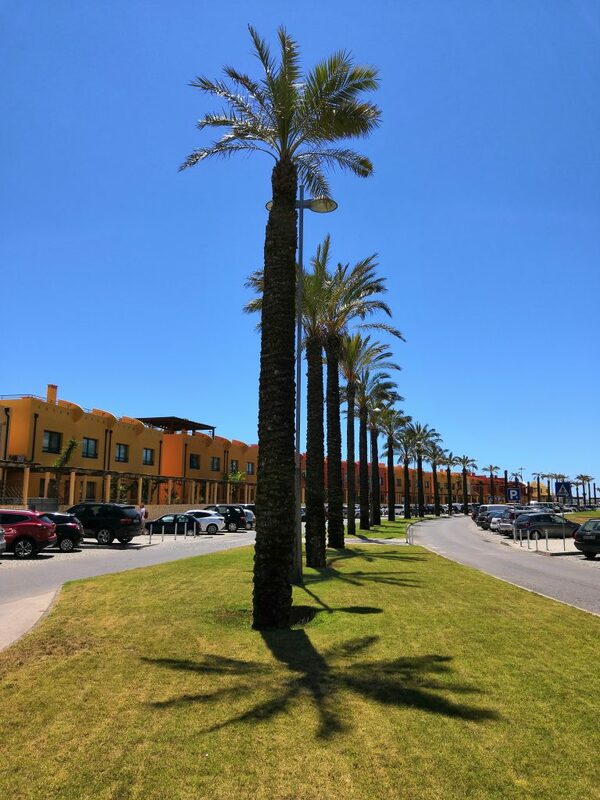 For example, taking a landscape picture, it would read it as a landscape photo and boost the blue in the sky on a summer day, add some sharpness or detail to the architecture, resulting in a picture that could have been otherwise not shareable. What I find is that it’s best to shoot with AI at all times because 9 out of 10 of the time, it does truly capture a better version of what you would normally take without AI on. 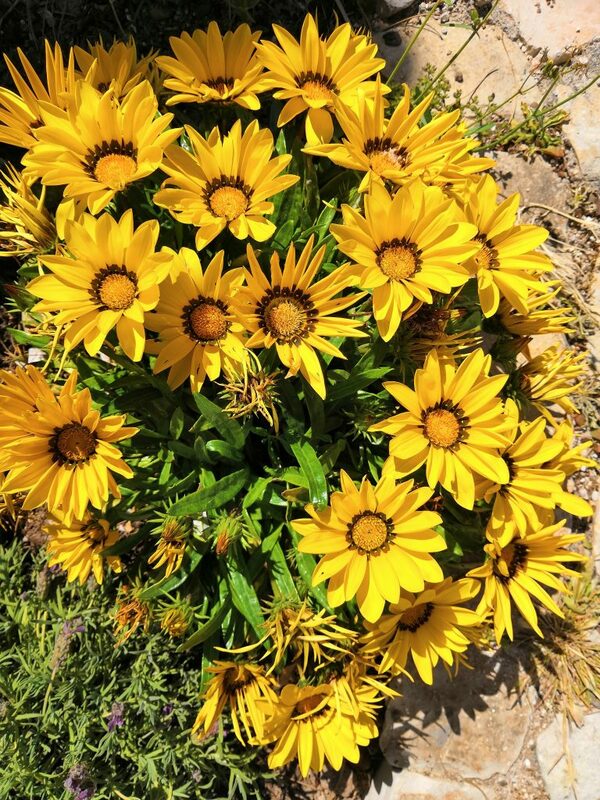 When it comes to its camera performance, I figured everyone’s got their own taste in what they deem good, so the best thing to do is leave you with some images taken in good lighting and low lighting for you to decide if it has a camera worth going for or if it’s worth paying extra to get a better smartphone. 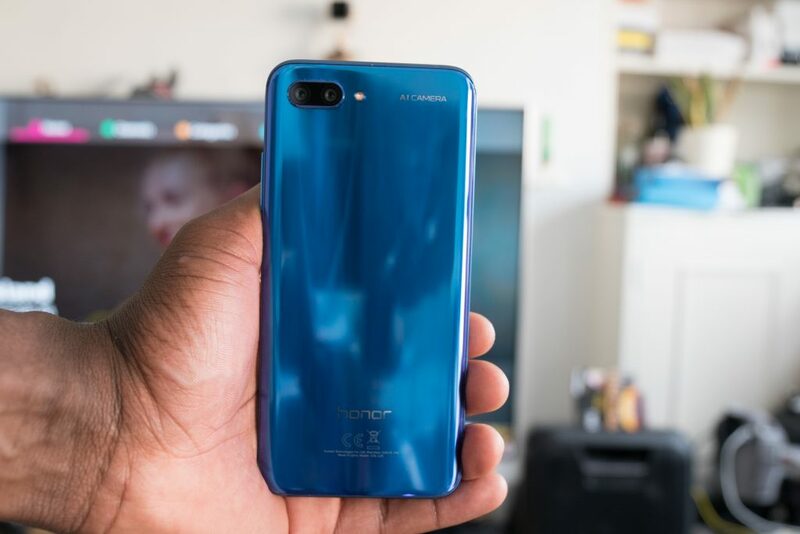 At the time of this review, you can pick up the Honor 10 for around £400, the cheapest I found was £337.99 and whichever way you look at it, that’s less than half the price of the basic iPhone X. 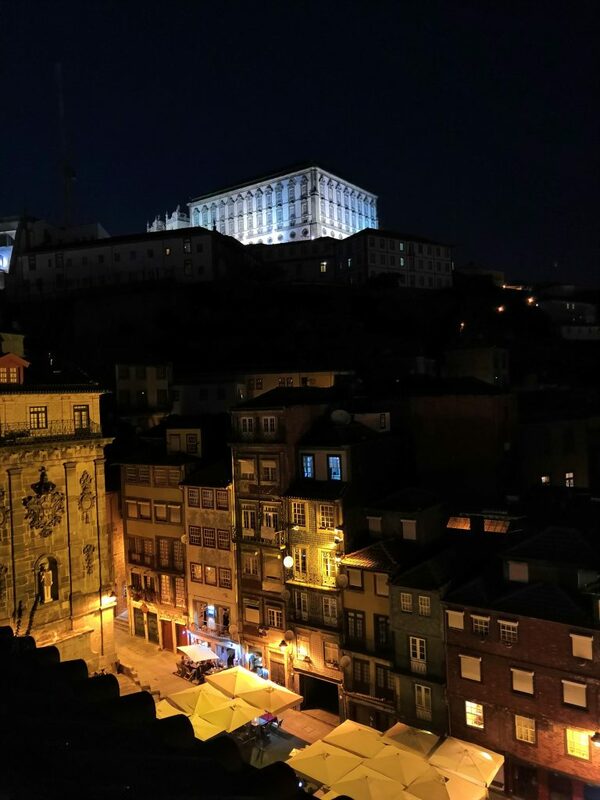 If you ask me, it’s definitely worth getting more bang for your buck and spend the rest on a trip to Spain, Italy or Portugal. I’m afraid the Honor 10 is not all singing and dancing, it still has a couple of things missing which if they added would definitely raise the bar up higher. It has no IP rating and although I have had some water splashed on it here and there and it still works, it’s still not officially rated for you to get it out there and get it soaked. The other thing missing is microSD card support which as mentioned earlier on, it’s something that I really value. Lastly, there’s no wireless charging and again if you’ve read my review of the OnePlus 6, you’ll know this is one thing I like to have so I don’t have to keep plugging and unplugging my charger. If you want to consider other brands besides Honor or Huawei for that matter, then consider checking out the new OnePlus 6 which was launched a day or so after the Honor 10. 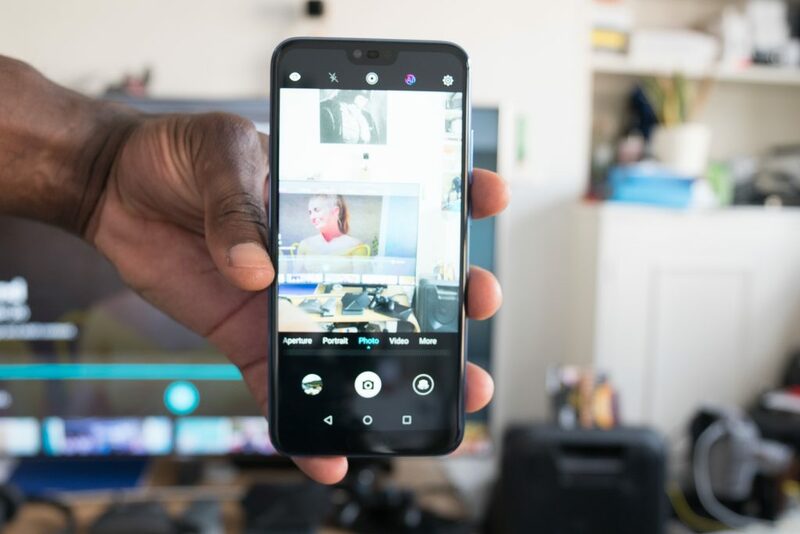 It also packs a lot for the price of £469 and although it’s a little more than the Honor 10 in terms of price, it adds a little more icing on the cake; check out my review of the OnePlus 6 to find out more.